Image: Hardball producer Joe Weatherstone (left) and executive producer Catherine Nebauer join the high jinks behind the scenes in episode 9, where TIFFANY (Erin Choy) becomes a zombie. Catherine Nebauer and Joe Weatherstone lead Northern Pictures’ first foray into kids’ TV drama with Hardball. 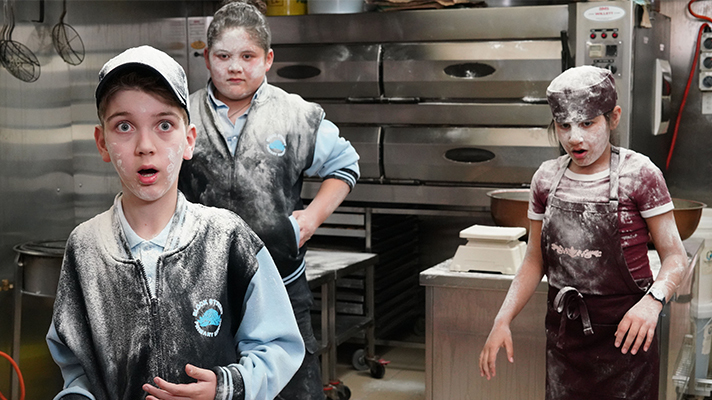 Northern Pictures’ funny and energetic kids’ drama series Hardball bounced onto the ABC this April. 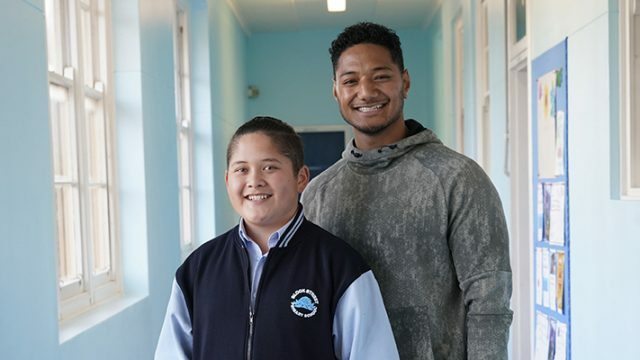 Fun, fresh and full of unlikely heroes, Hardball follows kiwi boy Mikey Mahaki’s journey to a new country, a new school, and most importantly, the discovery of a new school yard game. 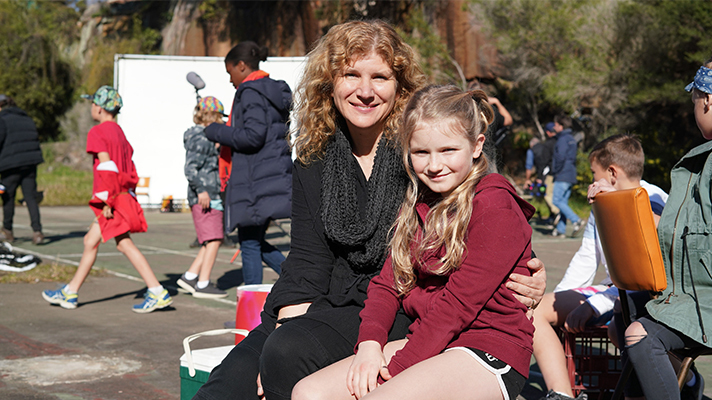 For Executive Producer Catherine Nebauer and Producer Joe Weatherstone, embarking on a kids’ drama series was a journey of mutual respect, support and shared creative vision. Hardball was their first project together, as well as Northern Pictures first children’s live action drama series. 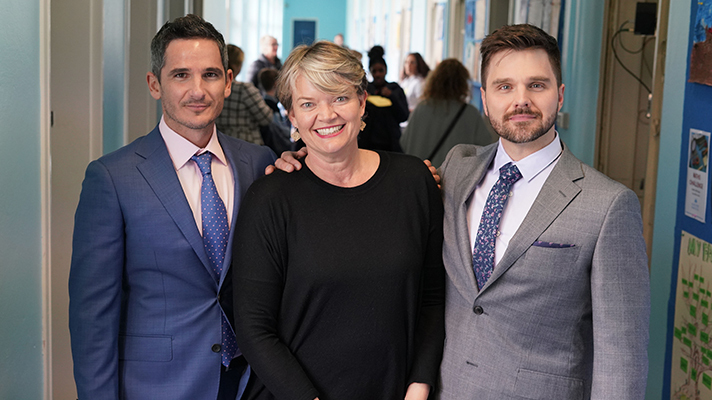 Executive producer and Head of Kids for Northern Pictures, Catherine Nebauer with co-creators and writers of Hardball, Matt Zeremes and Guy Edmonds. For Joe, she felt like she was in the right place when she realised everyone was there for the same reasons. “Right from the start I felt that I would have a great working relationship with Catherine – she is someone [who] is both calm and creative and allows people to do their jobs while also ensuring that they feel very supported. We have a very similar work ethic and creative approach and we continue to enjoy working together. For me it’s imperative that I work with people I like and who I respect and I feel I have this with Catherine”. Previously Joe had been a freelance producer – with projects like Housos and Fat Pizza under her belt. Catherine joined the Northern Pictures team four years ago to head up their children’s content department after having worked in channel management, distribution and as an executive producer for Nickelodeon Australian and Nickelodeon Asia. Producer Joe Weatherstone with her daughter, Autumn, cast in Hardball. 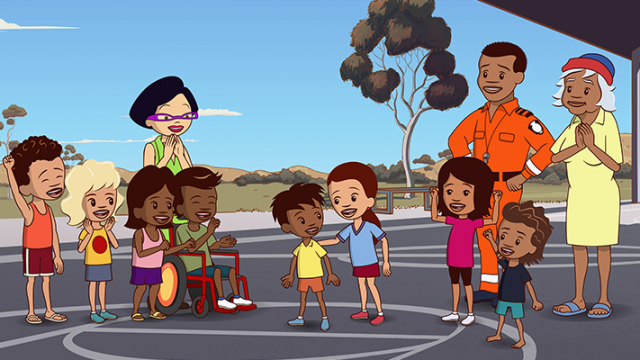 Up until this point, Northern Pictures has mostly produced factual pro-social and natural history programs, and for Catherine a particular focus on animal related content for the younger audience members. So what was it about Hardball that prompted the jump into scripted kids’ drama? Once they found their lead cast, the next step was to find an experienced crew who understood the parameters of working with children and shooting a drama series format. “We had a really well-seasoned team,” states Catherine, who describes Hardball’s production as a “well-oiled machine”. “We had a very happy crew who did not have to do any overtime!!! For many of them they got to enjoy seeing their kids at night for dinner and feeling like they had quite normal lives, compared to many shoots when they are away from home from dawn to late!” The biggest challenge for the team was managing the wellbeing of their cast; “Mikey was in EVERY scene so we were constantly ensuring that anyone who had a cold or was not feeling well not go near him so he stayed well!”. But there are so many fun moments throughout the show and it’s clear that the cast are having a ball on screen. When asked about their favourite moment during production, Catherine exclaims; “Only one!!!! For me (…) it was probably the opening titles number. The cast all loved their outfits and hair styles and really got into the dancing (and the singing!) – that and the opening sequence in our final ep at Sasi-West-Hat – we were using a phantom camera and the shots on this were spectacular! 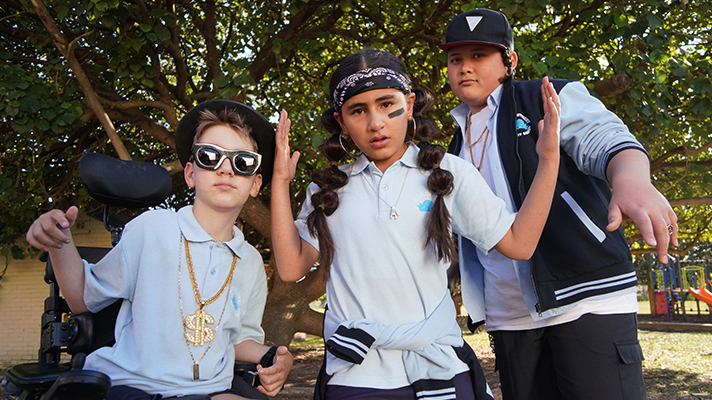 Everyone – cast and crew – really got into it!” Joe fondly remembers shooting “the rap song from Ep 6 and the laser tag opening on Ep 2 – the kids all got to be really artistic and the costumes were fabulous and over the top and it was a really fun and energetic day which translated well to screen.”. After their first kids’ drama series experience, the team is staying together with Joe Weatherstone and Hardball set up director Darren Ashton coming on-board to drive the Northern Pictures development slate which includes new ideas and optioning books for future projects. And Catherine adds “Oh and we hope we will see a Hardball Season II!”. 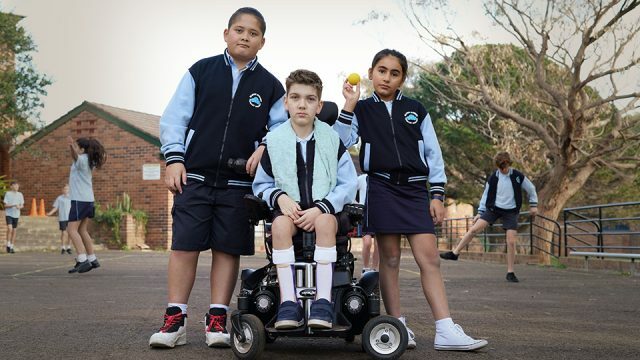 Hardball is available to view via the ABCME app from 1st April 2019, and on ABCME free-to-air from the 22nd April 2019.